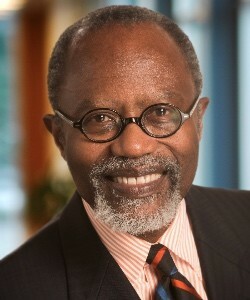 Phillip Clay served as the Chancellor of the Massachusetts Institute of Technology from 2001 until 2011. He is a graduate of the University of North Carolina at Chapel Hill and holds a doctorate from MIT. Professor Clay also held other leadership positions at MIT and was Department Head at DUSP where he has been a faculty member since 1976. He is the Chair of the Board of The Community Builders, Inc., Board Member for several foundations and non-profits, including The Kresge Foundation and Vice Chair at The MasterCard Foundation Board.